Vitamins for macular degeneration often include antioxidants and minerals that were used in the Age Related Eye Disease Study. However there are also some other nutrients and antioxidants, like bilberry, lutein and zeaxanthin, that you may want to consider. Vitamins for eyes can be a simple, single ingredient like lutein or a more comprehensive vitamin that includes several different minerals, vitamins and antioxidants. Macular degeneration nutritional supplements have been well researched showing that they can impact the prevention and progression of age related macular degeneration. Are Macular Degeneration Vitamins Necessary? There are many eye vitamin and choosing one can be very confusing. With my husband's strong family history of AMD, I knew that taking some kind of eye supplement would be a good idea. Fully intending to buy some kind of eye vitamin, I would go to the drug store, stand in front of all the different vitamin bottles and get so overwhelmed and confused that I'd walk out of the store without having bought anything. So how do you know which supplements to take to prevent macular degeneration or to slow the progression of this retinal disease? Choosing a vitamin for eye health can be complicated just like choosing a good multi-vitamin. As baby boomers ourselves, my husband and I are trying to do the best we can to delay or prevent conditions that are associated with aging and degenerative diseases. Supplements alone do not replace healthy lifestyle choices, regular exercise, a diet that promotes wellness, and supportive relationships. 1) How many fruits and vegetables are you eating daily? 2) Is the produce picked fresh or picked green before key nutrients have developed? 3) Is the produce organic or genetically modified (GMO)? GMO foods generally have less nutrients than organic foods. 4) How are the foods prepared - raw, steamed, or cooked in a microwave? 5) Are you exposed to toxins - like a nail salon, radiology, in airplanes a lot, around cigarette smoke? If you do not daily eat a variety of fresh, raw organic fruits and vegetables it may be wise to supplement. Supplementing with vitamins, antioxidants and macular degeneration nutritional supplements has become necessary because of the changes in farming practices such as soil depletion, early harvesting, genetically modified plants, and storage. However, it is not a means to justify an unhealthy diet or to give one an excuse to eat junk food. Natural food sources provide the best nutrients for the body to use and to absorb. Considering that research shows macular degeneration prevention and progression can be influenced by eye vitamins, it is worth checking out. Lutein and zeaxanthin supplements may be something you want to consider if you are at risk for developing macular degeneration or if you have been diagnosed with age related macular degeneration (AMD). 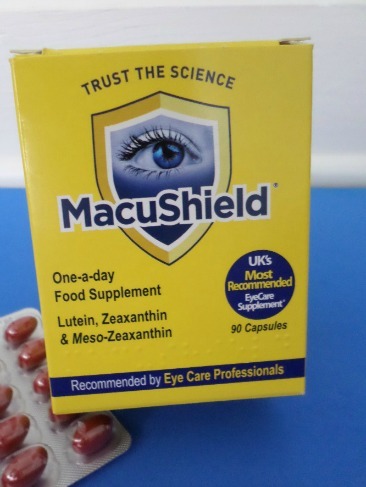 The Central Retinal Enrichment Supplementation Trials (CREST) concluded that the best way to increase macular pigment optical density is by using a supplement containing all 3 of the macular carotenoids, Lutein, Zeaxanthin and Meso-zeaxanthin like Macushield. According to Professor John Nola, "The Macular Pigment Research Group continues to test the important hypothesis which suggests that macular pigment can enhance vision in the young normal population and can protect vision for the those afflicted with age related macular degeneration. " Normally you will find zeaxanthin supplements along with lutein. According to the Journal of Nutrition, 2003 supplementing with both of these macular degeneration nutritional supplements, raise macular pigment density and serum concentrations in humans. These supplements come from a marigold flower extraction. This eye healthy antioxidant is found in hundreds of nutritional supplements, from multivitamins to eye care formulas to products that contain it as a sole ingredient. 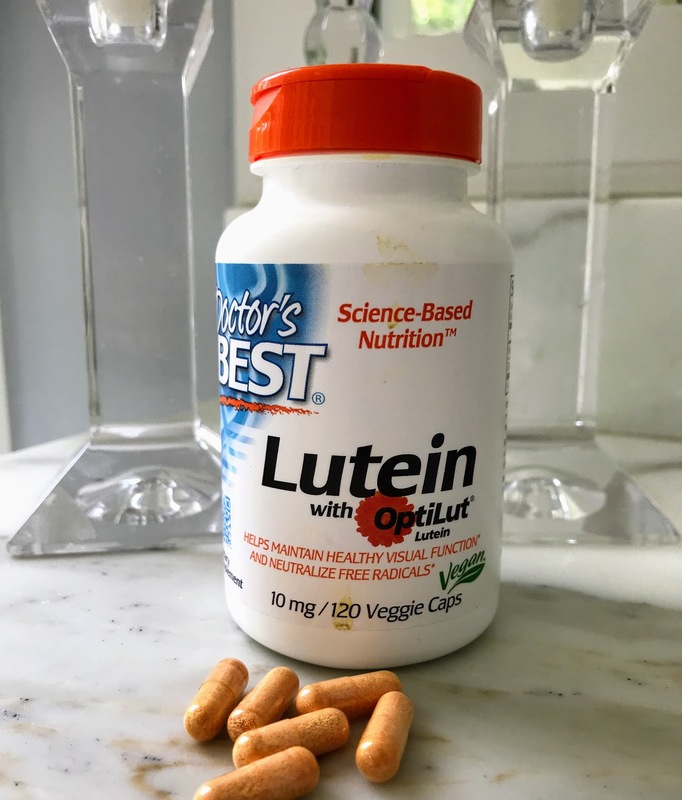 "Increasing doses of lutein supplements significantly increased the serum levels of lutein and zeaxanthin, and doses up to 10 mg were safely administered. A long-term large clinical trial is necessary to investigate the safety and efficacy of lutein in reducing the risk of the development of advanced AMD." The body does not manufacture lutein. You must eat foods high in this carotenoid every day and/or supplement. ICaps Vitamins are eye vitamins that are produced by Alcon, a Swiss company that develops and produces eye care products for many different eye conditions such as macular degeneration, dry eye, cataracts and glaucoma. They have 26 manufacturing facilities throughout the world. The company was founded in 1945 in Fort Worth, Texas by two pharmacists. In 1978 the Swiss company, Nestle aquired Alcon. 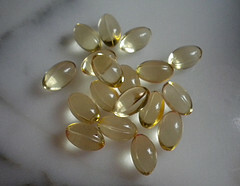 The company provides 4 different eye vitamin formulas. 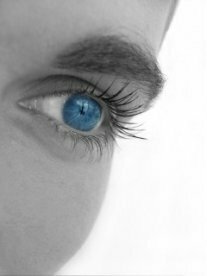 Find out what they are and how they differ here: macular pigment. As with all other vitamins, it is found in many food sources or in lutein supplements. The body is unable to make this important antioxidant so it is important to be sure that you are either eating foods high in lutein or be sure it is included in your vitamins for macular degeneration. In May 2013 the National Eye Institute completed the Age-Related Eye Disease Study 2. Over six years, approximately 4,200 volunteers participated in this macular degeneration study to see if adding omega 3 and lutein and zeaxanthin would be an improvement to the original AREDS formula. 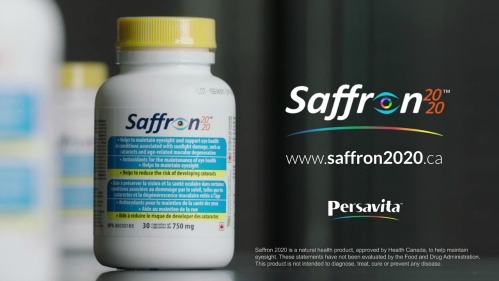 Perhaps you have never heard of the spice called saffron. Did you know that just like their are berries that are rich in antioxidants, so are there spices that are a rich source of radical fighting antioxidant potential? Saffron is one of those spices. In fact currently there are two clinical trials in Rome, Italy. One of them is to "determine the effect of a dietary supplementation with a Crocus Sativus extract, Saffron, on macular cone-mediated function in patients with early age-related macular degeneration." Dr Mahmood Piraee. the co-founder of Persavita Ltd. (Cambridge, UK), and is a pharmacist (Shahid Beheshti University of Medical Sciences, Tehran) as well as a molecular and cellular biologist (Dalhousie University, Halifax, Canada). He has been involved with research management and business development in leading international biotech companies in natural products drug discovery and development (Ecopia Biosciences (now Thallion Pharma), Montreal, Canada; and Biotica Technology Ltd., Cambridge, UK) prior to co-founding Persavita Ltd.
Tozal is the name of macular degeneration vitamins that were developed by by Dr. Edward Paul. Dr. Paul is a low vision specialist with a Ph.D. in nutrition whose specialty is age-related macular degeneration (AMD). Unlike other macular degeneration vitamins, MacuHealth contains lutein, zeaxanthin and mes-zeaxanthin along with other AREDS ingredients. Find out what David Nelson, OD and Kerry Salsberg, OD have to say about who should be taking these eye health vitamins and if they are just for those diagnosed with macular degneration or for those trying to prevent this retinal condition. All natural vitamins are a good source of nutrients that do not contain any fillers or synthetic compounds that can actually harm the body. Supplementing with whole food vitamins/minerals that are standardized and absorbed by the body is a common sense approach to keeping our body's healthy. Vitamins and minerals give the body what it needs to repair and regenerate itself. One that we like is from Natural Eye Care. The ingredients consist of real food and herbs from antioxidant rich sources like bilberries, blueberries, and grapeseed extract. 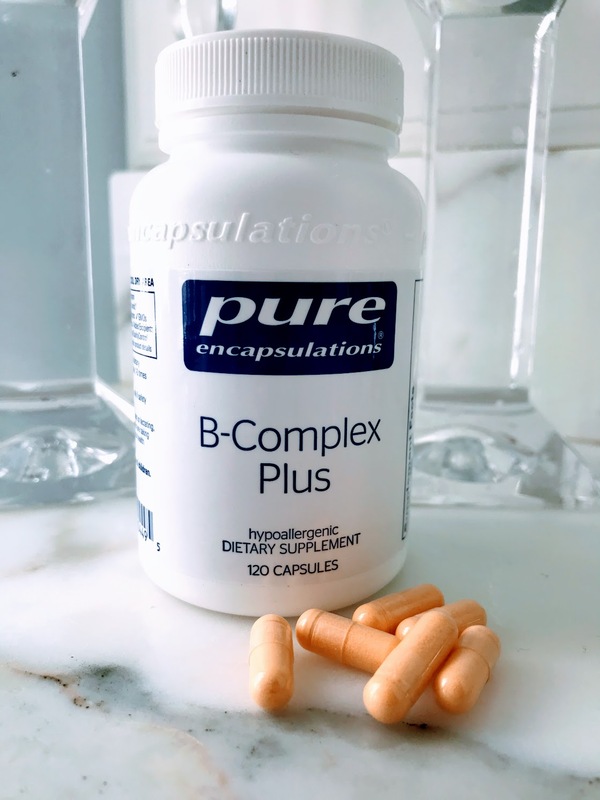 Vitamin B complex benefits the eyes and especially the macula according to an observational study reported on in the Archives of Internal Medicine in February of 2009. "Examine the incidence of age related macular degeneration in a trial of combined folic acid, pyridoxine hydrochloride (vitamin B6), and cyanocobalamin (vitamin B 12) therapy." 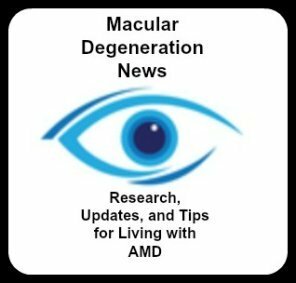 "This study provides evidence that vitamin D may protect against age related macular degeneration (AMD). Additional studies are needed to confirm these findings." Most people are now getting their vitamin D levels checked as part of their yearly physicals. Find out why you should know about Vitamin D and how it affects your health and your eyes. You may hear your eye doctor talk about AREDS vitamins - the letters stand for Age Related Eye Disease Study. This comprehensive study looked at the impact of a combination of vitamins on the prevention and progression of age related macular degeneration. When it comes to vitamins for macular degeneration the most important study is the Age Related Eye Disease Study (known as AREDS). Ocuvite Preservision was the vitamin and mineral supplement used in the National Eye Institute (NEI) age-related eye study (AREDS). 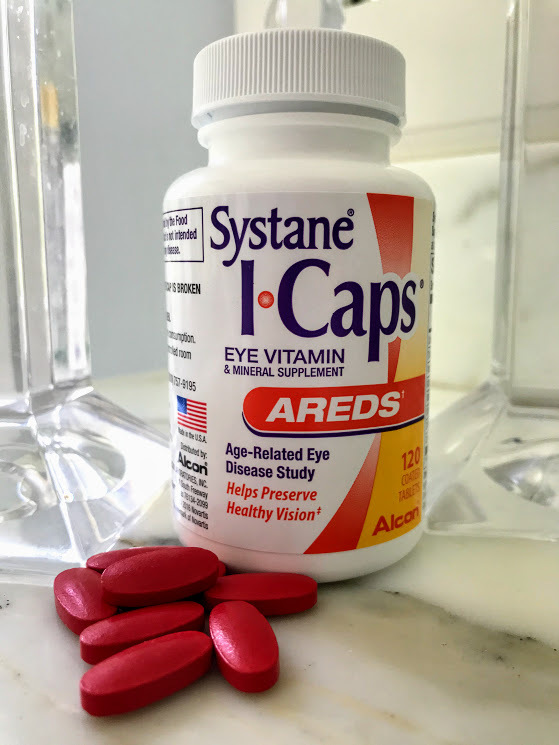 AREDS vitamins may have an impact on the progression of macular degeneration to its advanced stages. Ocuvite Lutein includes 6 mg of Lutein in each Ocuvite vitamin. It also provides 100% of the US Daily Values for the antioxidant vitamins C, E, as well as zinc and copper. However, The Macular Degeneration Association, has issued an urgent warning to patients with “intermediate dry age-related macular degeneration.” Patients are being advised to talk with their doctors about this commonly prescribed eye vitamin containing zinc, an ingredient that might actually be harmful in some cases. A simple, personalized genetic test is being recommended that could potentially indicate the difference between slowing or accelerating the progression of vision loss.